Of all the specialized equipment that you have in your warehouse, your electric pallet jacks are probably the most frequently-used pieces. Pallet jacks serve a vital purpose: transporting heavy items around your warehouse, your loading dock, and the rest of your facility with ease and with minimal risk. But because the kinds of tasks an electric pallet jack is called upon to do are daily ones, the wear that pallet jack undergoes is also daily. Keeping up with electric pallet jack maintenance is the only way to preserve your pallet jack and allow it to remain operational for years to come. Read on to find out more. They say an ounce of prevention is worth a pound of cure, and they couldn’t be more correct, particularly when it comes to the functionality of your electric pallet jacks. Preventative maintenance ensures that the little problems that occur from time to time with your pallet jacks do not grow into larger ones. If an issue goes unattended for too long, then it may even get to the point that the problem is so severe that it cannot be fixed. This means you will have to purchase a brand new electric pallet jack as a replacement, which constitutes a repeat of a significant investment for your company. 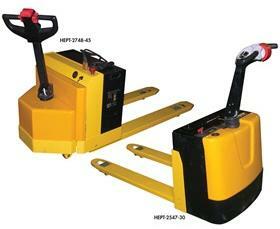 By ordering regular, routine maintenance for your electric pallet jacks, you ensure that they stay in good condition. This is not only a great way for your company to save money in the long run, but also for it to make even more money. It’s simple: the better your equipment performs, the more productive your company is, and the more productive your company is, the more it will be able to grow and flourish financially. Get in touch with S.W. Betz today to schedule your routine electric pallet jack maintenance. This entry was posted on Wednesday, April 8th, 2015 at 8:54 pm. Both comments and pings are currently closed.